Mapesbury Estate Area Guide - What makes Mapesbury Estate so great? Where do Mapesbury Estate locals go? A fantastic theatre away from the West End showing outstanding original productions. Well worth a visit. Also has a cinema and a bar. A lovely period pub, restaurant and guesthouse. Beautiful décor and very friendly. Good bar and great cocktails - this place has 'date night' written all over it! Share your favourite place to go to in Mapesbury Estate. "In 2001, after 10 years of reported sightings, a lynx was captured in Cricklewood. She had become known as the "Beast of Barnet" and was rehomed in London Zoo." I can't think of a place with better transport links - you can be at Bond Street in only 13 minutes! 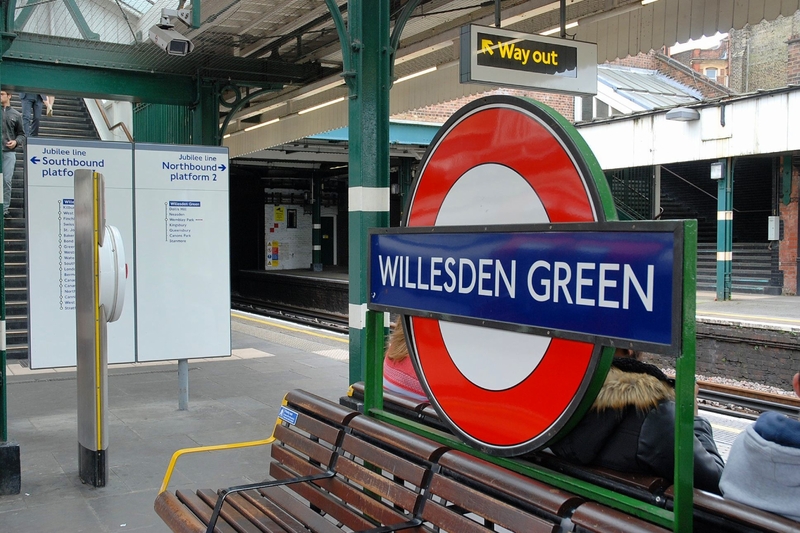 Kilburn Station's Jubilee line service is a speedy way to get into town and Canary Wharf. Grade II listed The Crown, Cricklewood is a reminder of Kilburn's history. Acting, Story, Dance and Imagination - Tiny Glee! Mums are invited on Thursday mornings 10.30-12.30 to participate in our series of activities including yoga, marriage advice,healthy eating. Join us for coffee, tea and cake with other mums. Socialise, learn new skills and share experiences, while your children enjoy art workshop, listen to stories and play. Do you live in Mapesbury Estate, or have you lived in Mapesbury Estate recently? If so, let us know what you like about living in Mapesbury Estate. Feedback about living in Mapesbury Estate has been submitted directly by the public and may not neccessarily reflect the views of Foxtons. The description of Mapesbury Estate was modified from Wikipedia and is available under the Creative Commons licence. Land Registry data is Crown copyright. All the views and contributions contained within Foxtons Local Life are those of the contributors. All content is assessed before publishing for taste, however free opinion is encouraged. Foxtons accept no payment or sponsorship for content that is posted about Mapesbury Estate.